Sun mask is from Gypsy Renaissance's Celestial Visions mask collection. 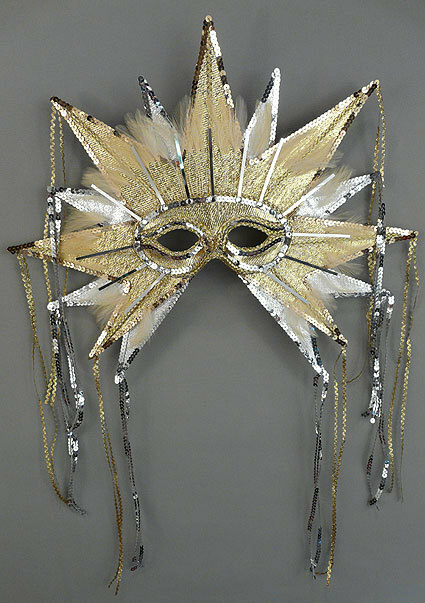 Sun mask is a handmade silver and gold masquerade mask with feathers and rhinestones. Sun mask is covered with gold and silver lamé and trimmed with gold metallic braid and silver and gold sequins. Mask is adorned with ivory feathers, silver rays, rhinestones, and metallic dangles.